Heartbeats and breath, walking and resting, speaking, hearing, reading, and sight. These are only a few of the daily activities we take for granted. We give little thought to the processes that occur in our bodies to facilitate these activities, yet if one of them goes awry, our lives are affected in dramatic ways. Life as we know it is interrupted, it stalls, pivots, freezes, even shatters. Lives are never the same after a catastrophic interruption, but the stories that result can be found in literature throughout the ages. This week in #litchat we’re discussing books featuring that unthinkable moment when life is interrupted. 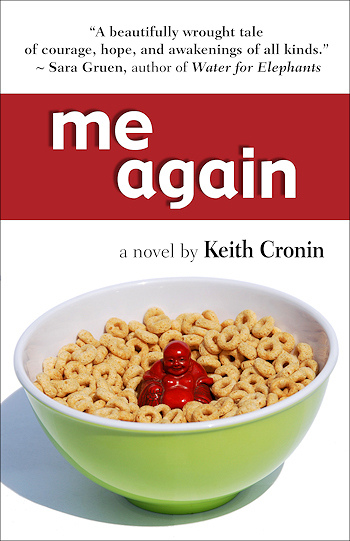 Joining us as guest host of #litchat on Friday, September 23, is Keith Cronin, whose debut novel, Me Again, explores what happens when a life is abruptly interrupted. Jonathan Hooper is a picture of health, a 28-year-old accountant with a beautiful girlfriend, a loving family, and a taste for the good life, until he’s struck by a sudden and catastrophic stroke. After six years in a coma, Jonathan wakes up. In one of the most poignant and witty first chapters in recent memory, Me Again begins with Jonathan’s miraculous awakening. Gripped by amnesia and trapped in a body withered by six years of disuse, Jonathan’s recovery is slow and disappointing to those who expect him to bounce back to his former self. He finds an ally in Rebecca, another stroke victim he meets in the long-term recovery unit of the hospital. Rebecca remembers who she is, but the stroke radically changes the way she thinks, feels, and believes, to the point she is a different person. Several mysteries lay hidden beneath Jonathan’s amnesia, leading him to understand who he is as much as who he is no longer. 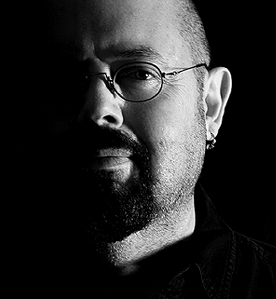 A former librarian who went on to become a professional rock drummer and corporate speechwriter, Keith Cronin has performed and recorded with artists including Bruce Springsteen, Clarence Clemons, and Pat Travers, and has written about the merits of paperclips for a Fortune 200 office-supply company. Keith is a regular contributor at the literary blog Writer Unboxed, named one of Writer’s Digest 101 Best Websites for the past five years. His fiction has appeared in Carve Magazine, Amarillo Bay, The Scruffy Dog Review, Zinos, and a University of Phoenix management course. He holds a bachelor’s degree in music from Indiana University, and earned his MBA at Florida Atlantic University. A native of South Florida, Keith spends his free time serenading local ducks and squirrels with his ukulele. You may purchase Me Again in hardcover from any of your favorite online sources. Follow Keith Cronin on Twitter: @KeithCronin.